Our community believes in a new growth-oriented world, in which all innovators have the chance to make true their dreams. We are confident that we can achieve it because of our dedication and coordination. Our, innovative thinkers in R&D departments, on production lines and in marketing companies will be able to focus on doing what they do best-creating the solutions needed for a better world. 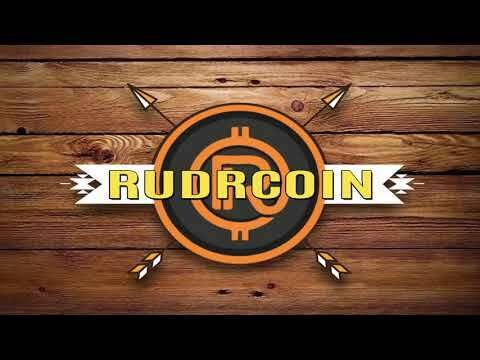 Rudrcoin - is a blockchain technology innovation eco-system. Employment opportunities are emerged through, expertise within the community brings mentoring, learning. In sense, successful projects are those which generate development, branding, and the market for further growth or issued as rewards to members. Rudrcoin is blockchain agnostic and will harness the features of any open-ledger platform to showcase its potential. So far the same, here is the golden key to unlock the doors of infinite opportunities by formulating an optimum ecosystem for seekers, researchers, innovators, developers, and inventors. The Innovation Ecosystem is the perfect platform to implement their ideas and concepts and to nurture them until they ornament to become real, viable and ready-to-use products. Our platform will give the opportunity to invest in some of the greatest inventions, innovations, and discoveries that in the future might just change the world as you know it. The future that we envision will see the decentralization of research-based structures, transferring the power of R&D up to even common hands. Released White paper on Rudrcoin sale. Rudrcoin website released for coin sale. Pre-sale and public ICO Sale. Released Android and iOS wallet. Rudrcoin Innovation & Incubation Centre (RIC). Partnership with innovators, researchers and manufactures.